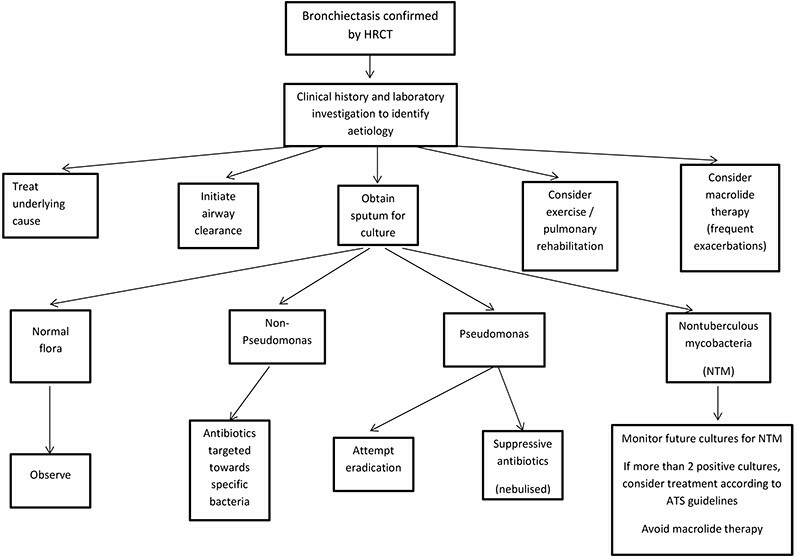 The management of bronchiectasis is not strongly supported by clinical trial evidence and clinical practice guidelines have largely been formulated through consensus in expert opinion. However, the majority of patients with bronchiectasis produce sputum on a daily basis so it is clinically accepted that the clearance of secretions from the airways should be the cornerstone of daily treatment. The development of a management plan (Fig. 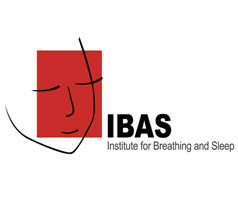 1) for patients with bronchiectasis should be guided by the input of a respiratory physician and a physiotherapist with experience in airway clearance techniques. The constituents of the management plan will be guided by symptom burden, exacerbation frequency, sputum microbiology, lung function and the presence of exacerbating factors, respiratory comorbidity (asthma, COPD etc) and disease complications. In general, the aim is to optimise well-being, symptom control, lung function, quality of life (QoL), and reduce exacerbation frequency and prevent excessive decline in lung function. Treatment plans for exacerbations should be developed for all patients, linking them to primary healthcare and specialist or hospital facilities. 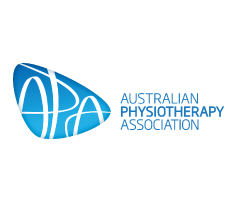 When appropriate, this includes individualised and self-initiated management action plans. Airway clearance manoeuvres and regular exercise are encouraged, nutrition optimised, environmental pollutants (including tobacco smoke) avoided and vaccines administered following national immunisation schedules. Long-term antibiotics, inhaled corticosteroids, bronchodilators and mucoactive agents may be individualised, but are not recommended routine therapy. Long-term oral or nebulised antibiotics should not be used routinely and the development of antibiotic treatment plans should be based on specific patient characteristics guided by microbiology results and expert advice. Antibiotic selection is based upon lower airway culture results, local antibiotic susceptibility patterns, clinical severity and patient tolerance. Patients with severe exacerbations and/or not responding to outpatient therapy are hospitalised for more intensive treatments, including intravenous antibiotics. Inhaled and oral corticosteroids should not be prescribed routinely unless there is an established diagnosis of co-existing asthma or COPD. Similarly, inhaled bronchodilators should not be prescribed routinely and used only on an individual basis. Mucoactive agents, including saline, hypertonic saline and mannitol, are not currently recommended for routine use. A therapeutic trial however may be considered in children and adults with frequent exacerbations. Defining patient specific treatment goals. The overall treatment plan aims to minimise symptoms and exacerbations with the long-term objective of maintaining lung function. During an exacerbation, there is often a proliferation of bacterial pathogens and increased airway and systemic inflammation. Treatment with antibiotics has been shown to reduce bacterial burden as well as inflammation. Deciding when a patient has an acute exacerbation is based on symptomatic and physiologic changes, rather than any specific lab investigation. An acute bacterial infection is often preceded by an increase in sputum volume and sputum purulence. There may also be additional symptoms including malaise, dyspnoea, pleuritic chest pain and/or haemoptysis. Systemic symptoms such as fevers, sweats and rigors may be present, but many patients will have an exacerbation without those symptoms. Viral infection can also trigger exacerbations. 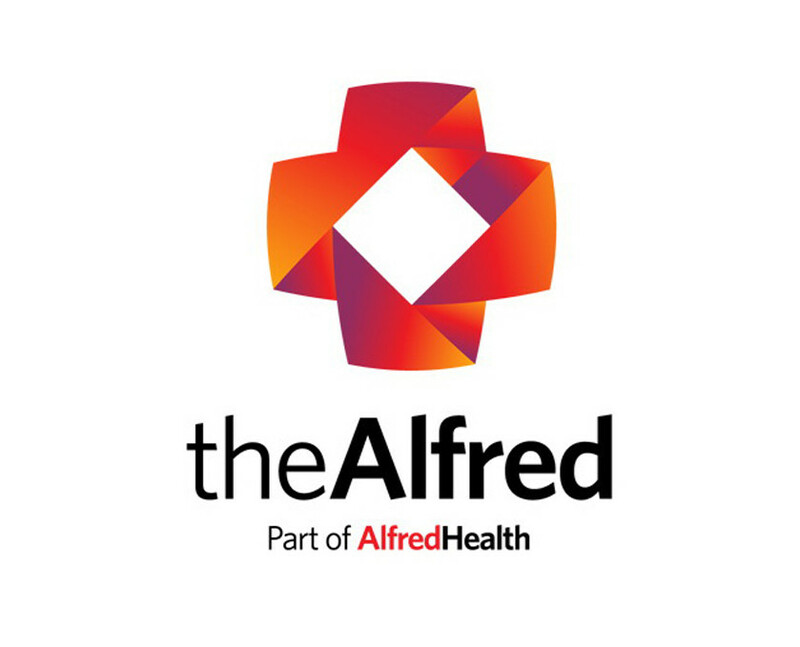 Although there are no randomised control trials evaluating the role of antibiotics during exacerbations of bronchiectasis, oral antibiotic therapy is appropriate for most mild to moderate exacerbations with the choice of antibiotic usually based on the organisms previously identified in sputum samples. Antibiotics for exacerbations of bronchiectasis have been shown to reduce sputum volume, sputum purulence, bacterial load, CRP, markers of sputum inflammation and improve symptoms. Clinical experience suggests that higher doses and a longer duration of antibiotics are often more effective than lower doses and shorter courses of the same antibiotic in bronchiectasis. Additionally, sputum sensitivity results do not necessarily predict clinical response to antibiotic therapy. The choice of antibiotic should be based on previous sputum isolates where possible. In patients with beta-lactamase producing organisms, empiric treatment with amoxilcillin or amoxicillin and clavulinic acid is appropriate. For patients allergic to penicillin, doxycycline is an appropriate alternative. For patients known to be colonized with Pseudomonas aeruginosa, ciprofloxacin is an appropriate agent. Patients who have had MRSA previously isolated can be treated with a combination of rifampicin and fusidic acid. If previous sputum isolates are not available, then empiric therapy targeting Haemophilius influenzae is appropriate. The appropriate duration of therapy is not well defined, but for most exacerbations a 7 – 14 day course of antibiotics is appropriate. If Pseudomonas aeruginosa has been identified, most clinicians would recommend a 14 day course of treatment. If a patient requires intravenous antibiotics, hospitalisation is indicated. For patients who have Pseudomonas aeruginosa resistant to ciprofloxacin, intravenous therapy is indicated. Other indications for hospitalisation include the presence of respiratory failure with a respiratory rate >/= 25/min, hypotension, fever >38C, hypoxic respiratory failure with SpO2 </= 92% or failure to improve after a course of oral antibiotics. It is important that patients admitted to hospital are also treated with appropriate airway clearance techniques. Supplemental oxygen therapy may be used if there is evidence of hypoxic respiratory failure (SpO2 < 90% or PaO2 < 65mmHg). While this may improve oxygenation, it will not necessarily have any impact on dyspnoea. If supplemental oxygen is used, it is appropriate to maintain a saturation of >92%. The addition of oxygen therapy to a patient’s management plan should be determined by a comprehensive clinical assessment, not just the requirement of an increase in PaO2.